Earlier this month, Fiat Chrysler announced an even higher fuel-efficiency rating for a new model of the 2015 Ram 1500 EcoDiesel--to be called HFE. The HFE--or High Fuel Efficiency--version boosts the fuel economy of what is already the most efficient full-size pickup truck on sale to an estimated 24 mpg combined (21 mpg city, 29 mpg highway). DON'T MISS: 2015 Pickup Truck Fuel Economy: Ford Vs Ram Vs Chevy, Who's Best? That's just a 1 mpg increase in each category over the standard, rear-wheel drive EcoDiesel, but that improvement saves more gallons of fuel than a 1-mpg improvement would in the 50-mpg Toyota Prius. Achieving that improvement was just a matter of combining existing features that weren't previously offered together, according to Ram Trucks media representative Nick Cappa. The Ram 1500 EcoDiesel HFE model is essentially a combination of features from two different trim levels, with many components--like gearing and tires--left unchanged from the standard model that's already available. It is based on the entry-level Tradesman, but that model's spray-in bedliner and trailer hitch have been eliminated to save weight. The front bumper and 20-inch wheels from the Ram 1500 Express model are added, because of their better aerodynamic properties, Cappa says. 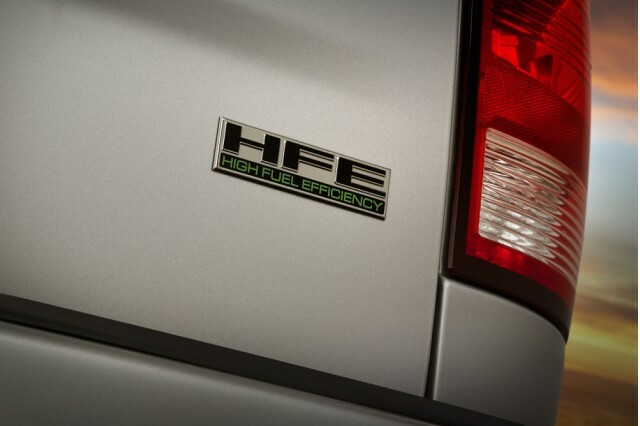 Finally, the HFE is only available in a rear-wheel-drive crew cab configuration--which was judged to be the lightest body style that would still sell in significant volumes. The 3.0-liter turbocharged EcoDiesel V-6 appears unchanged, producing the same 240 horsepower and 420 pound-feet of torque it does in other models. Like other EcoDiesel models, an eight-speed automatic transmission is also mandatory equipment. 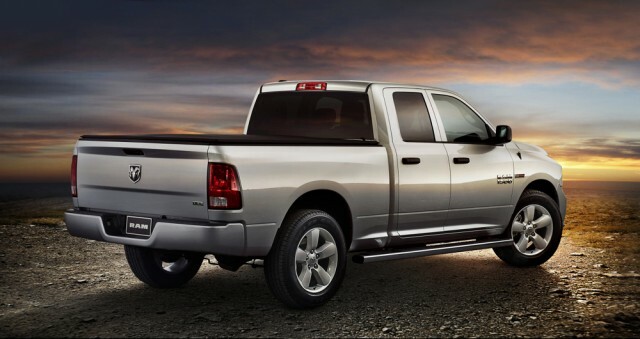 Regardless of which engine is under the hood, all Ram 1500 models also come standard with notable fuel-saving features, including active grille shutters, aerodynamic under-body panels, and an engine start-stop system. 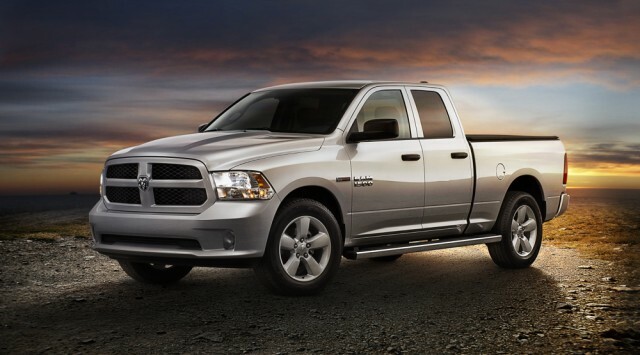 The Ram 1500 EcoDiesel HFE goes on sale later in the first quarter of 2015, joining an existing HFE model equipped with the 3.6-liter Pentastar gasoline V-6. That model is rated at 21 mpg combined (18 mpg city, 25 mpg highway).